May 22 - Sails on and ready to use. One of the reasons for the early launch was to get the boat out of the way of the construction. It spent the winter right in front of the shed's location. Easy access was required for the building materials, so minimal prelaunch work was done, and off to the dock Serenity went. 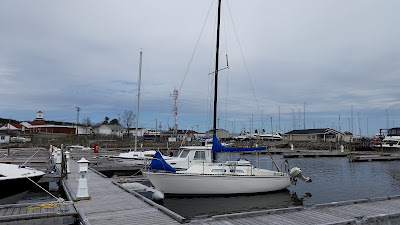 My initial intention was to plan to go sailing every weekend, knowing that weather and other distractions would put a damper on a few of them. What I hadn't counted on was that the construction project would use up almost every spare minute right into the autumn. Also, there were visits from family in both July and August. While both groups got out for a few hours aboard Serenity, they took me away from the shed work. 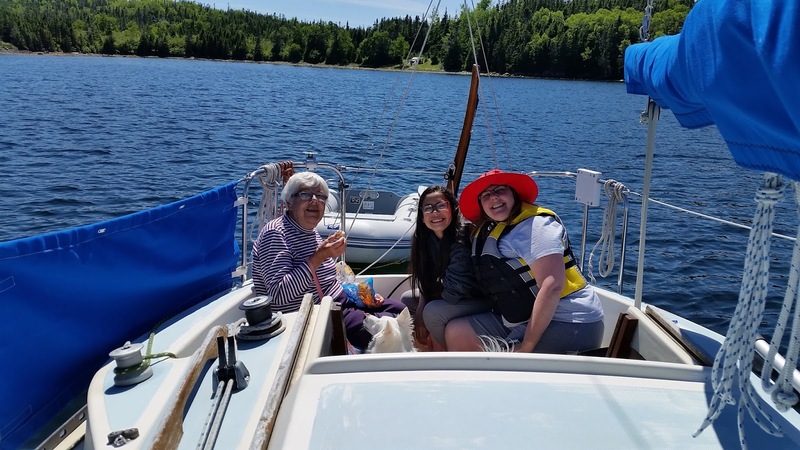 Mom, niece and sister at Siviers Island on July 10. 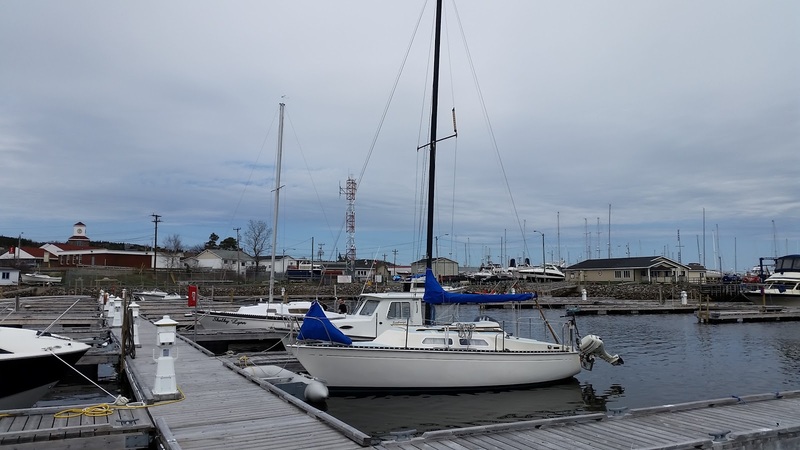 There was one warm afternoon in early June, with the wind blowing about 15 knots, that called me out to play. It was my only solo sail of the season. Getting in and out of the berth alone is usually the most difficult part. 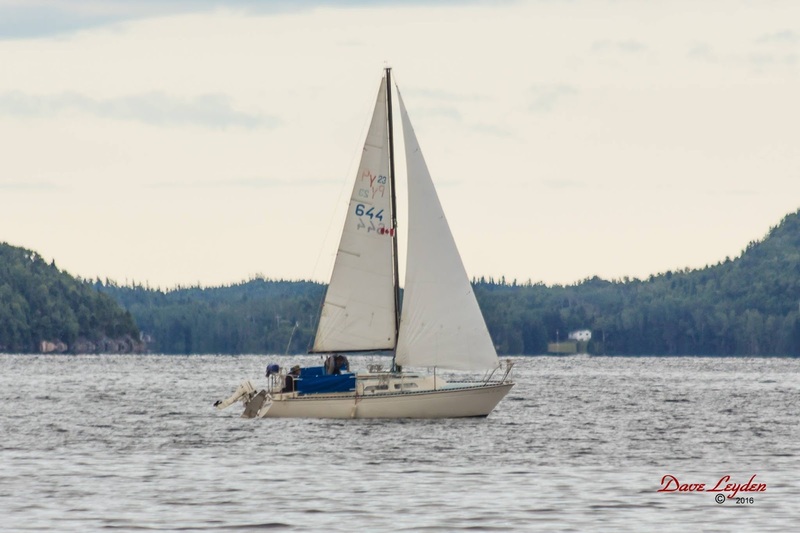 Other than those outings, I participated in the 2016 Captain Peter Watkins Harbour Cup Race in August. Once again I came in last place. I do have the excuse of not even having my sails up when it started. Winds were light, and boats finished in about the same order they crossed the line. Drifting to last place in the Harbour Cup race in August. There is a night boat parade along the harbour front as part of the Mussel Bed Soiree. 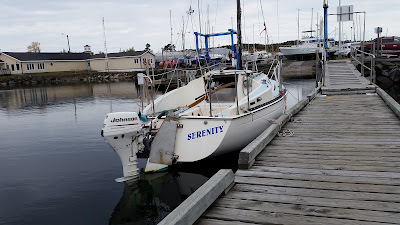 This was my second year using Serenity to organize the boats. 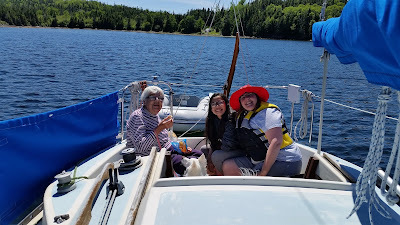 This time I had 3 guests aboard. It was a nice evening on the water. 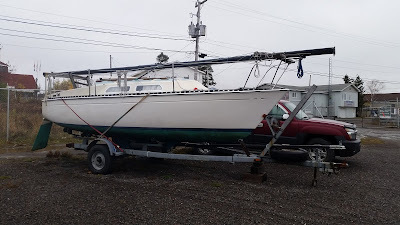 Nearing the end of October it was time to haul the boat out for the season. 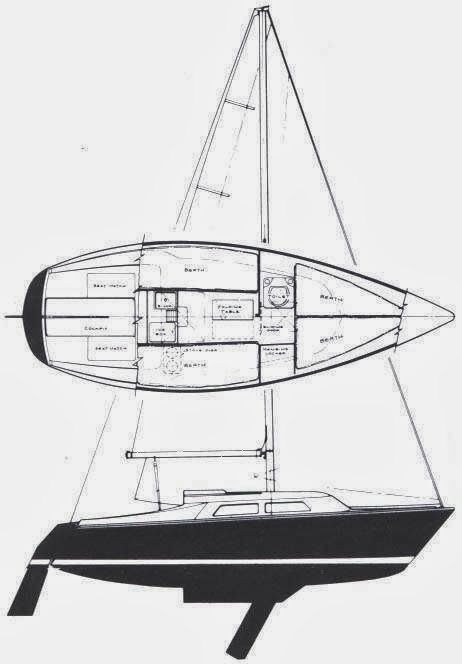 I always wait until the last minute, just in case I can get one last sail in, but it rarely happens after September. October 23, 2016 about to be hauled out. And that was the sailing highlights for 2016. November 4, just about ready to go home.